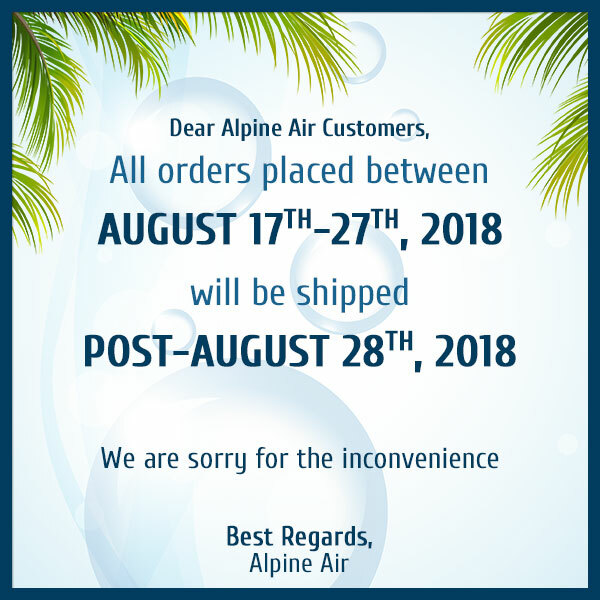 Alpine Air I wanted to send a quick email to say thank you! I called on December 19th 2007 and wanted to order an Alpine air purifier for my husband for Christmas. Your sales representative was very helpful and recommended the Classic XL15 and guaranteed it would arrive prior to Christmas. He was right…it arrived on December 21st. The air purifier was the last piece to completing ‘the mans room’ in which my husband and his friends could watch TV and smoke cigars and hang out. I have to tell you how amazing this air purifier is….we had 12 men in ‘the mans room’ on New Years Eve…all of them smoking cigars and we never smelled anything! Thank you for your recommendation, thank you for the amazing customer service and thank you for making my husband the envy of all of his friends.